Performing Arts Live Red Carpet Gala & Fundraiser. 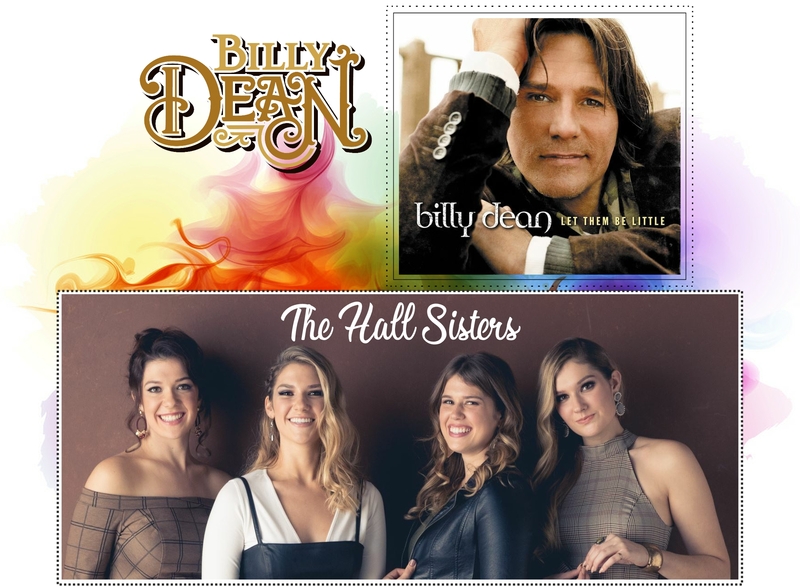 Special guest entertainment featuring Billy Dean and The Hall Sisters. Doors open at 5 pm with Red Carpet Photos, DJ and Dancing, Cash Bar, Silent Auction items, Hors d'oeuvres and Social. 7 pm Buffet Dinner including wine, featured entertainment, coffee and dessert. Preview of our new season and of course meet and greet with Billy and The Hall Sisters!